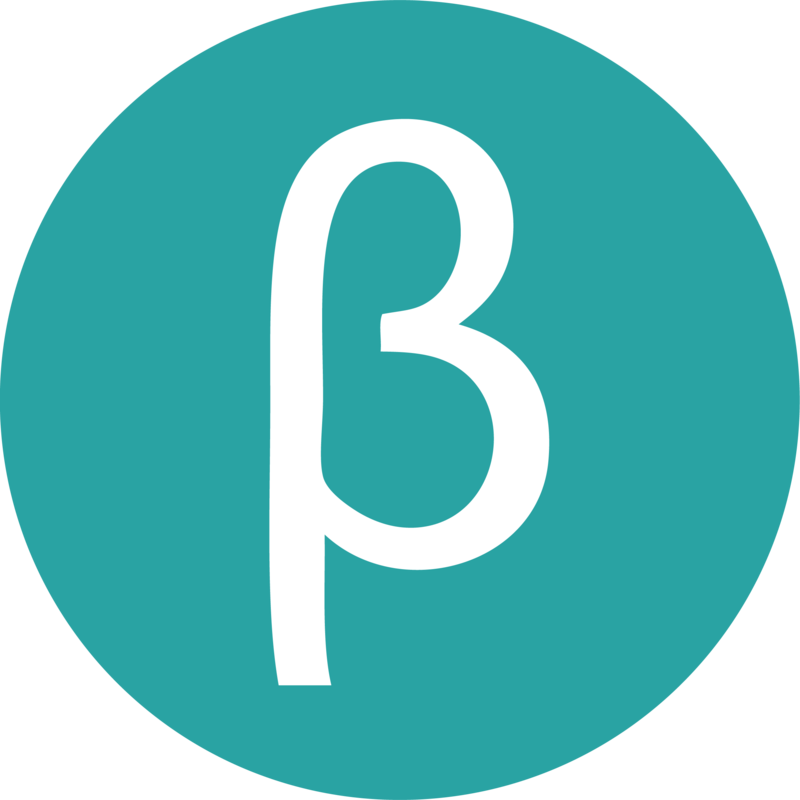 Through Lent term and Easter 2018, BlueSci conducted a survey on mental wellbeing at the University of Cambridge. Our aim was to better understand how our studies interact with our mental health, and explore how faculties can best support students. Laura Nunez-Mulder, Elsa Loissel, and Martha Dillon explain the results. Read the two interviews linked to this article, with student Keir Murison and head of the University Counseling Service Géraldine Dufour. The Cambridge experience is split between two worlds; the colleges we live in, and the faculties we work in. Why should only one of these worlds be responsible for student welfare? Faculties can offer unique forms of support, such as a degree-saving extension on a deadline. The BlueSci 2018 Wellbeing Survey was open to responses for seven weeks, shared on social media and submitted to the bulletins of CUSU, GU, departments, and colleges. 463 people from over 25 faculties completed the survey. Students are keen to talk about mental health – 141 respondents offered extra comments at the end of the survey, to tell us more about their mental wellbeing and how it has been affected by their studies. For analysis, we compiled faculties with fewer than ten respondents into ‘other’ groups, leaving a final sample of 15 subject groups. 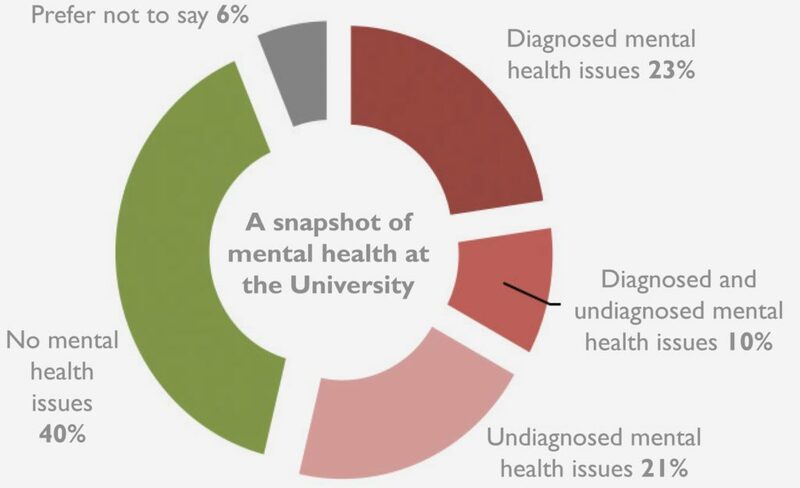 The majority of our sample are undergraduates (59%), and a large portion have had mental health problems in the last five years, whether formally diagnosed or not. The most common illnesses are depression (54% of the respondents who reported a diagnosed mental illness), anxiety (44%), and eating disorders (13%). 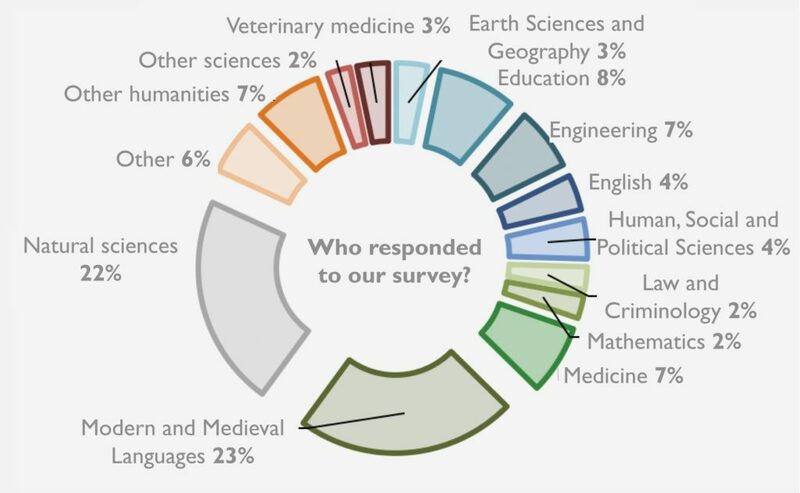 Undergraduates and postgraduates are not worlds apart in the BlueSci survey. Though the university experience is very different, both groups are similarly affected by workload, with a majority reporting a negative or somewhat negative effect. Perhaps surprising is that the impact of staff on wellbeing is also similar for all groups. The relationship with staff changes significantly after graduating. According to Tamsin Whitfield, a PhD student in the Department of Material Science and Metallurgy who has been both undergraduate and postgraduate in Cambridge, “a supervisor to a postgraduate is more like a boss at work than a teacher.” Despite this, 29% of postgraduates and 23% of undergraduates reported a negative effect, while 51% of postgraduates and 47% of undergraduates reported a positive effect. The personal experiences shared in the survey are diverse. For some students, the high expectations are a blow to self-esteem, leaving them vulnerable to unhealthy behaviour patterns and poor mental wellbeing. Others make a point of choosing mental wellbeing over high performance. Postgraduate researchers looking towards a career in academia comment that even when mental health is supported in their faculties, one noted that “the fact still remains that taking time off to deal with a mental health problem decreases your ability to produce papers, and your career will suffer.” Still other students find that work offers a distraction from the symptoms of their mental illness. Over the next few pages, these diverse stories come together to form a picture of mental health in Cambridge. An undergraduate finalist in Modern and Medieval Languages (MML) told BlueSci that they “often feel very overwhelmed and have breakdowns. It is so difficult to deal with the sheer volume of work, and the lack of time to socialise or rest.” Another student notes that workload impacting mental health, and vice versa, can create a vicious cycle.“The Cambridge workload seems to not allow for any sort of neurodivergence or mental illness – any such conditions will affect your ability to work, and you will get behind, which in turn worsens your mental health conditions,” writes a Natural Sciences student who has intermitted twice. Read the interview with Keir Murison, 4th year student in the Department Biochemistry, Emmanuel College and founding president of Open Minds Cambridge. Many Cambridge students find firm friendships in their subjects. 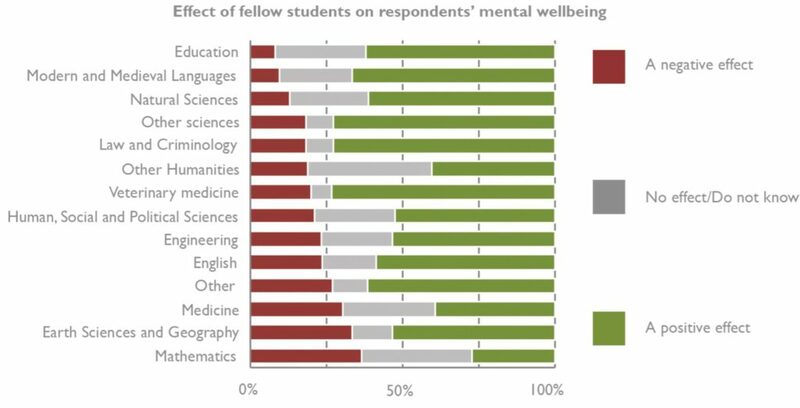 The majority of the sample reflect this sentiment; 3 in 5 feel that other students in their faculties had a positive or somewhat positive effect on their overall wellbeing. At the same time, almost half of respondents said staff have a positive effect on wellbeing. Many students described huge help – or harm – from individuals within the faculty, particularly supervisors. As the key interface of student-faculty relationships, supervisors have a significant influence over whether students feel supported or abandoned by their faculties. For some students, the positive impact of supervisors can be as simple as “the odd positive comment to break up a stream of corrections”. Others attribute their recovery to supervisors who gave advice on how to study, who listened to their concerns and allowed extensions, and who encouraged students to access other forms of support. Out of 223 students who needed support for mental health issues, over half felt inadequately supported by their faculties. Some may not have sought support. But despite the growing awareness of mental health amongst students helping many to ask for help, a high number of students feel they are being failed. Many people wrote in the BlueSci survey about their supervisors and Directors of Studies, and the data suggests that support from individual members of faculty often has more influence than faculty-wide policies on mental health. The data collected suggest that the level of engagement with mental health topics by a faculty does not reflect whether its students feel they are getting adequate support. For example, of the respondents in MML, 7 in 10 felt that the faculty rarely or never discusses mental health. But over half of those who needed support got the necessary help from their faculty. 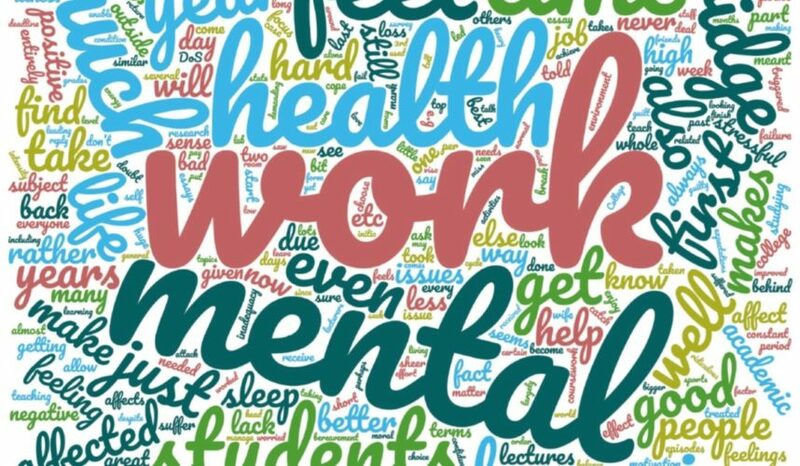 Medicine shows the opposite pattern – the faculty talks about mental health a lot, but a large proportion of students did not get the support they needed. Read the interview with Géraldine Dufour, Head of Counselling at the University of Cambridge. Medicine, Veterinary Medicine, and Education are the only faculties for which more than half of students report engagement – ‘Yes’, or ‘Yes, sometimes’ – with mental health topics. These three subjects are vocational, where mental health is a key part of professional development. What makes mental health hard to discuss within a department? Some respondents feel that teaching staff care more about grades than individuals. Others point out that they would prefer to seek support for mental health outside of their work sphere, especially if their struggles are related to their studies. Others express a sense of stigma – that being open about mental or physical illness is “a sign of weakness” in the faculty. The results from the BlueSci survey show – not for the first time – that students want more from the university when it comes to the subject of mental health. With more than one hundred students reporting that they didn’t get the support that they needed from the faculty, there is definite room for improvement. The widespread harm of intensive workloads to student wellbeing is a gloomy discovery, but not a shocking one. Meanwhile, students and staff alike are making a positive difference to the people around them in their faculties. Various faculties offer pastoral training for supervisors, introductory lectures about support available from the department, and online information about how to access support. In particular, supervisors play a key role in minimising the negative health effects of work and supporting students during during times of poor physical or mental health. Dr Davies’ three strategies for supporting the students in his faculty – being generous with information, improving access to support, and breaking the stigma – are clear ways in which faculties can transform a student’s experience of Cambridge – or even save a life. The unique forms of support available from faculties can sometimes be overshadowed by the vast resources accessible through college or centrally. But they matter. If you need someone to talk to or emotional support you can contact the Samaritans 24 hours a day on 116 123 or at jo@samaritans.org.